At PAX East 2017, I attended a special press event for Diablo 3 (D3) on the Necromancer. 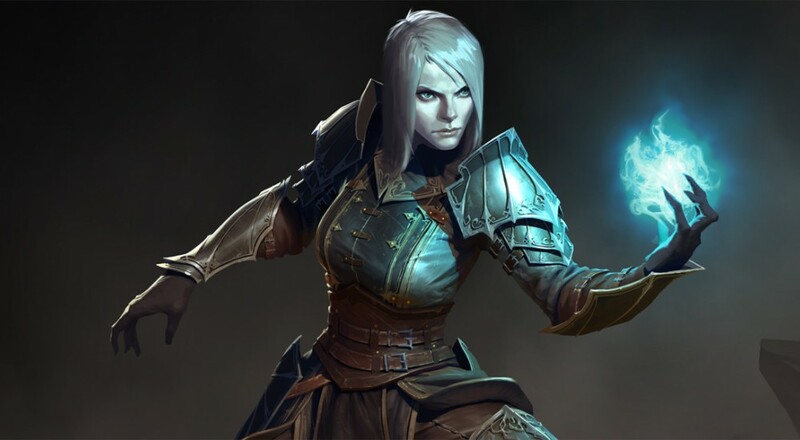 While the Rise of the Necromancer was already announced at BlizzCON 2016, this press event revealed details on the female necromancer model as well as a whole new set of Necromancer skills. I also had the chance to go hands-on with the female Necromancer and her melee-focused skill set. The event started with some background information on the necromancer by the developers. When they set out to add the Necromancer to the game, they wanted to ensure it felt different from the Witch Doctor. Since the Witch Doctor has so many poison-focused skills, they made sure to avoid poison when designing the Necromancer. You might recall that the Diablo 2 Necromancer had poison skills, which made some people think that D3’s Witch Doctor was an updated Necromancer. 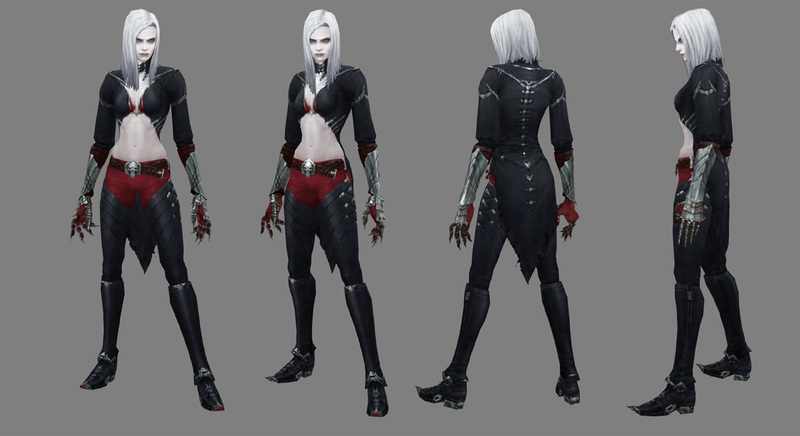 Instead, they chose to the themes blood, bone, life, and death for the Necromancer, making sure their armor aesthetic simultaneously screamed “commander of the dead” and “1980’s rockstar.” So expect equal parts leather, bone, and disdain. Grim Scythe: Swing a huge scythe in a wide arc, dealing damage and restoring Essence. 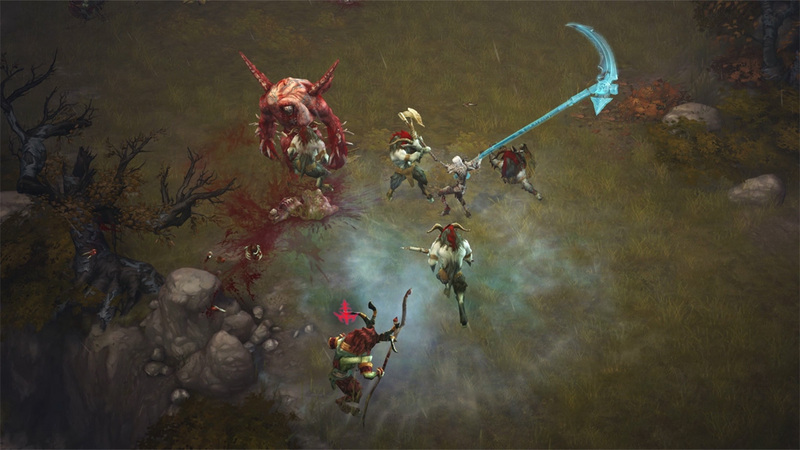 Blood Nova: Unleash a powerful nova dealing massive damage to surrounding enemies. o Devour: Consume corpses to instantly restore Essence to power your other skills. Golem: Summon a powerful ally like the mighty Blood Golem, which can drain the blood from your enemies, dealing damage and restoring your health. Blood Rush: Shed your mortal flesh and pass through solid objects to swiftly reach a new location. Leech: Curse enemies so that attacking them transfers their life energy to you and your allies. Grim Scythe is the Essence builder of this kit (Essence being the Necro’s class-specific resource), like the previously announced Bone Spear. When used, the Necromancer cleaves a path in front of herself with a spirit scythe. The more enemies she hits, the more Essence she builds. Blood Nova is the big damage dealer in this set of skills, which not only spends Essence, but also a portion of health. To make sure that players are able to reliably use Blood Nova without essentially killing themselves, the Necromancer needs ways to get that health back. Enter Blood Golem, Devour, and Leech.